Please do not use the same shirt numbers already displayed on the product image to avoid duplication. Fixed shirt numbers on this product are numbers 11, 9, 14 and 7. 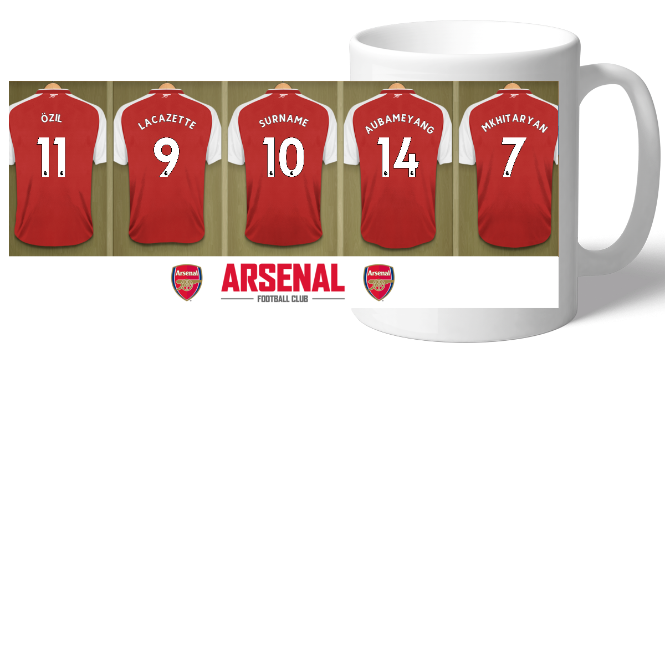 This Personalised Arsenal Dressing Room Mug would make a fabulous birthday or Christmas present for any Arsenal fan, and is approved and fully licensed by Arsenal FC. Your selected surname – 12 characters and chosen number – 2 characters, will be merged onto the centre shirt to exactly match your team mates and then printed in full colour onto a high quality mug. 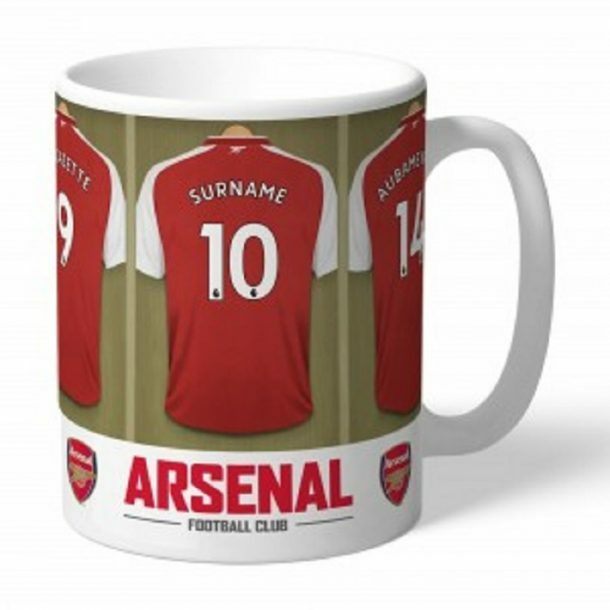 The photograph was taken in the first teams dressing room at the Emirates Stadium, and players and managers names will be modified on this product to reflect any changes. Official Arsenal Merchandise. Please don’t be fooled by non-official products from cheaper selling sites!